Education on the issues. Optimal communication. A partnership with the patient to achieve the best outcome. I feel really comfortable with this doctor and am really glad I found him. I felt like he really cared about making sure I had what I needed. MD is very knowledgeable. Staff is very friendly. office seems like it could use an extra receptionist. they always appear overwhelmed. The doctor was great! He was very personable and knowledgeable. I was referred to this practice for a second opinion on an ultrasound. MD was knowledgeable. You really need to fight to be heard with this MD and office staff. I am a medical professional who has experienced three, 2nd trimester fetal demises. I was dismissed by every office staff/RN I came in contact with. Every request required 2 phone calls to accomplish. Take some notes and look at the chart!!! Dr. Iannucci always does an excellent job. I trust his expertise a great deal. Dr. Thomas Iannucci is very nice, understanding and has good _____ doctor. Dr Iannucci is very knowledgeable,professional.Awesome Doctor.He was there for my delivery and i specially came from different state for Dr Iannucci for my delivery only. highly recommend to everyone. Very positive. I wish he wasn't just a high risk doctor, but a doctor who saw patients with healthy pregnancies...he was fantastic! Dr. Ianucci is the best. I went to him in the past for my second pregnancy and am back again because is so thorough, patient, knowledgeable and just makes you feel so comfortable. I get that I'm pregnant & very overweight, but I don't appreciate the nurse asking me if my "normal" blood pressure is common for me because of my size. I went to that office specifically for an ultrasound. YOu are not my dr. nor my normal nurse! This visit was good overall. The appointment was rescheduled though because it was originally booked incorrectly (typo), so I had to come at a second time. There was also a delay in my appointment due to confusion with my file. The paperwork from the referring physician had my nickname & I wrote my given name on the form (X vs. X). Not sure why my last name wasn't easier to use to find the records. We waited in the waiting room for 45 - 60 minutes past the appointment times, and then another 20 minutes in the exam room between the condition of the ultrasound & Dr. Iannucci coming in. I understand that things happen, but updates would have been appreciated as we had to juggle work obligations since everything was close to 90 minutes behind. Also, Dr. Iannucci did not introduce the med student/resident he brought into the exam room. Major oversight! Waited for 1 hour in the waiting room before my appointment. For a pregnant woman not allowed to use restroom, this is unacceptable. this doctor was great!!! knowledgeable, kind, helpful, caring, super doctor!!!!! I would not change anything about my experience. At 36 weeks, it was determined my son had small abdominal measurements and referred me to Dr. Iannucci. Although my husband and I waited over an hour for the ultrasound. I understand why these types of appointments can run over. The doctor was extremely patient with us and was reassuring given my concerns. Dr. Iannucci is a very skilled, competent, kind, and understanding doctor. He always answers all of my questions and gives me all the time I need. He is the golden standard of what any women's health OBGYN, and any physician really should be. I feel like I am in the best possible care that I can be when it comes to my pregnancy. Thank you! Dr. T. Iannucci has been my High Risk Doctor for the past 4 months. He has been absolutely awesome. His knowledge, professionalism, listening skill and compassion has been a blessing to me and my family. Overall good experience. The only thing I would say could be better was the wait in the waiting room to see the provider. Very thorough, extremely kind & knowledgeable. Dr. Iannucci is a wonderful doctor the make sure he takes his time with you, never seems to be in a rush. He made me feel comfortable and explained everything to me. I definitely recommend him and I'm thankful. I had a great experience with the reception staff at this office and with Dr. Iannucci. I wish this was the office I went to for all of my prenatal care. This provider was very courteous, prompt, and helpful, I always enjoy my visits to this provider. Dr. Ianucci is a very caring doctor. He is very approachable and answers questions in a timely manner. I would highly recommend Dr. Ianucci to anyone. The provider was very knowledgeable, nice, and helpful. The ultrasound person was also great. I felt well taken care of. The best doctor ever! I love Dr. Iannucci. Dr. Lannucci & his staff were very kind & extremely knowledgeable - They answered all my questions in detail & were very helpful in explaining everything. Taking additional time in explaining could be very helpful in non-technical ______. Overall, the provider was very helpful. 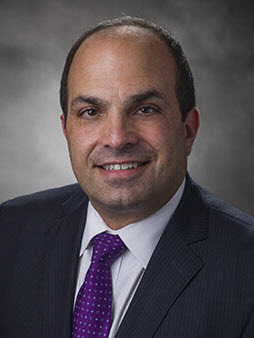 health eNews with Thomas A. Iannucci, M.D.